Even though you are saving a pet from being killed by adopting and not buying from a rescue or pet shop I think everyone should know that the “Adopt Don’t Shop” campaign is not such a clean campaign. 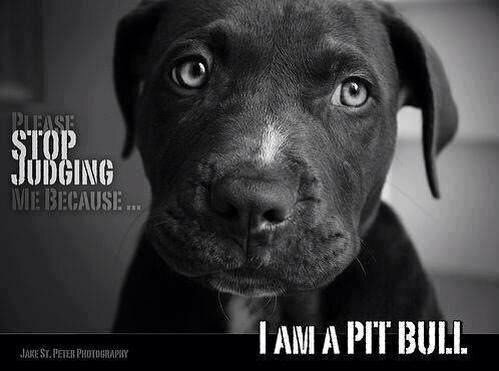 Take a minute to ask yourself this, who is the benefactor when you choose to adopt and not shop? Your probably thinking the animal, and you might be right. However, who other than the animal benefits from this? It’s the shelter. Think of it this way, the shelter is saying that someone has to come and adopt the animal or it will be killed. Does that sound fare, ethical, or like something that should be legal? No. In 2014, I contacted a shelter in New York about a cat that was on a kill list because it looked like one that was missing. I couldn’t get any response. One week later I get a response saying it was still alive and asking if I was interested in adopting it. So they put it on a kill list saying if no one adopted it they would kill it that night. However, when no one adopted it they didn’t kill it. In a recent news article from CNN Money it was reviled that shelters across the country are wrongfully seizing families pets to charge large fines and threaten to kill the animals if people don’t pay up. This is a rapidly growing problem. Animal Control and shelter all over the country are currently being ran by people who are in it for the money. Rather the profit goes to the shelter or their local government they are still being led by the goal of increasing profit. As pointed out in the CNN article shelters such as the one at riverside county animal care and control have been working to increasing their revenue over the past few years. And they aren’t alone, shelters all over the country are doing the same. Pets especially dogs are being ripped from loving homes and traumatized by the corrupt animal shelter/control system every day. And for what? So that shelters can turn and sell them to a new family. Shelters are even stealing pets out of their back years causing the family to think they just got away. Stolen pets don’t just always end up at the local shelter. After all shelters pull dogs and cats all around from shelter to shelter. In some cases missing dogs have turned up across the country. And if you think wrongful seizures are the extent of the theft problem you are wrong. If fact, there are several instances of animal control workers bullying and threatening people into signing surrender paperwork to take people’s pets. In Florida, a man’s son was bullied into surrendering his father’s 5 dogs over while his father was in the hospital. I Indiana a animal shelter director is using all of these tactics to increase profit for their city. Since taking over and implementing these tactics the Muncie animal shelter has doubled the intake of animals. And these numbers are now greater than larger cities nearby. When you visit a shelter there is a 50% chance the pet your looking at adopting may be stolen and has a family missing and looking for it. If you support the “Adopt Don’t Shop” campaign I suggest you think about these facts and consider getting involved on changing the way shelters work instead of enabling their unethical, and shady practices. The “Adopt Don’t Shop” campaign is failing the country’s domestic animals by allowing shelters to exploit animals and bully the community. It is time to stop enabling the corrupt animal shelter/control system and do something to change it.